There are two meeting venues to choose from at Hever Castle when it comes to organising a meeting, a training session or a conference, The Astor Wing or The Guthrie Pavilion. To determine which of these two venues is the most suitable to your event, your expected numbers and objectives will need to be considered. We have a team of three professional event coordinators who will guide you through the logistics of each event space available and will be with you every step of the way to plan and deliver a successful event. 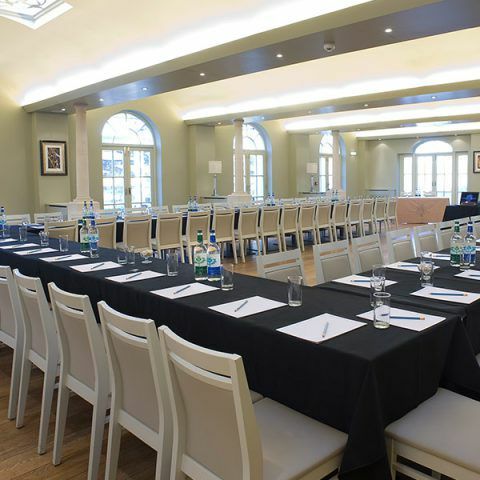 The Astor Wing, an Edwardian wing of the Castle, built in Tudor style, can accommodate events for up to 60 delegates. Within The Astor Wing there is an impressive oak panelled suite of three interconnecting meeting rooms referred to as The Tudor Suite. The Tudor Suite offers not only peace, privacy and space to spread out, but also state of the art facilities for projection in a historic, beautiful venue. ...I wanted to thank you and your amazing staff for a wonderful two days. Everyone felt really spoilt and nothing was ever too much trouble for them. We had the most amazing experience ever - one we can never repeat. 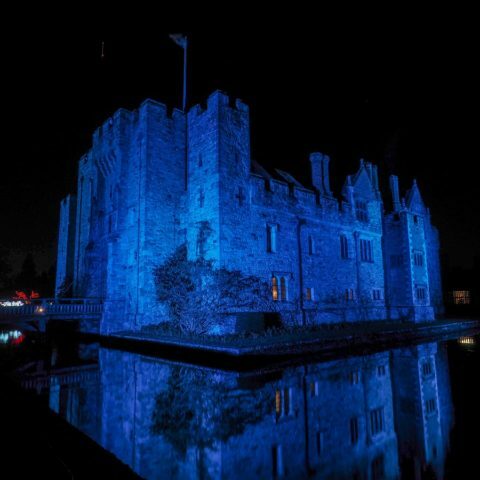 So thank you again and I hope we get another chance to come to the wonderful Hever Castle. 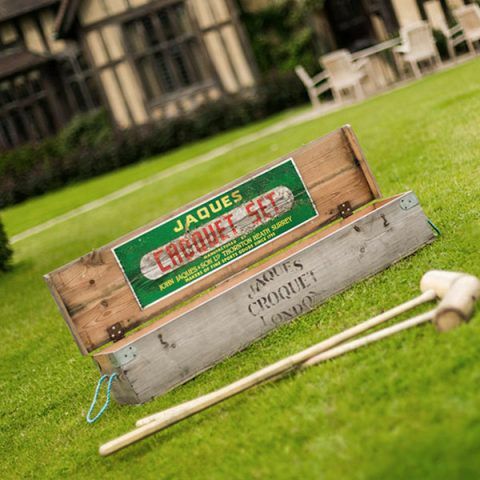 Surrounded by formal lawns and stunning views across the moat, with the Castle as a backdrop, the three rooms can be used as required. The larger of the three rooms, The Tudor Suite Dining Room, can accommodate 24 delegates around a boardroom table or 60 guests in a theatre style set up. The Tudor Suite Sitting Room can host refreshments breaks, lunch and dinner for and The Tudor Suite Breakfast Room with a door to an outside terrace area is a natural meet and greet area as delegates arrive. With access to an opulent lounge and a billiards room, The Astor Wing can be hired on an exclusive use basis guaranteeing complete privacy and uninterrupted time to achieve your goals. 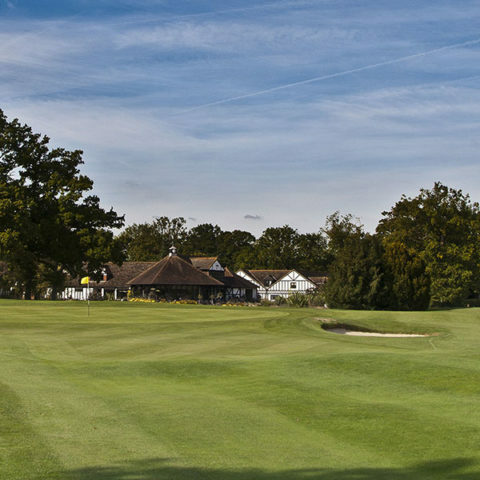 If your itinerary allows, Hever Castle Golf Club offers a 28 hole championship golf course. For residential stays, there are 19 bedrooms within The Astor Wing for delegates to retire to after a sumptuous dinner in either The Tudor Suite or The Castle Dining Hall. There is the possibility of a further nine bedrooms in The Anne Boleyn Wing, subject to availability. The Guthrie Pavilion, located in the Italian Garden, is a contemporary, light and airy conference and event venue providing the perfect location for groups of up to 200 delegates. Palladian in style, this modern facility is surrounded by award-winning gardens, offering an abundance of natural daylight. Wifi is available, data facilities can be arranged and there is adequate floor space for staging or sets. 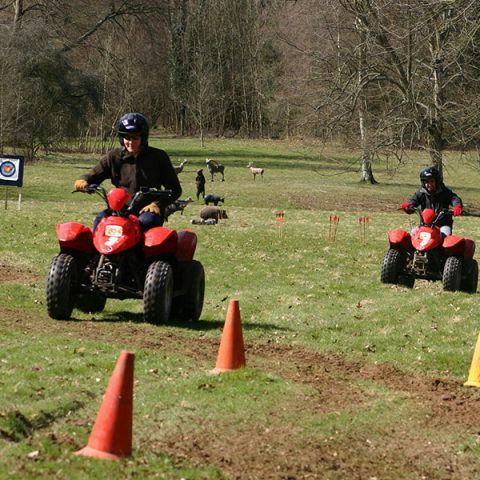 With a private activities field located adjacent to The Guthrie Pavilion, motorised sports and team building activities can be arranged and golf is available at Hever Castle Golf Club. The 28 bedrooms at Hever Castle recently refurbished and fit for a King, have been graded five stars by Quality in Tourism. Expect period colours, panelled walls, vaulted ceilings. Several rooms boast four posted beds and roll top baths. All offer luxury, antique furnishings and rich fabrics. Some rooms have stunning views across the formal lawns of The Astor Wing, others across the apple orchard to the castle. All are en suite with period features combined with modern day luxury. We request that a minimum of ten bedrooms are booked if you are requiring bedrooms as part of your event.